The European Parliament in its resolution 2013/2826 of September 12, 2013 groundlessly accused the Russian Federation of putting pressure on a number of states that are part of the European Union’s Eastern Partnership program, in particular Ukraine, in connection with plans to join these states to the European free zone Trade through the conclusion of association agreements with the European Union. The State Duma of the Federal Assembly of the Russian Federation believes that such accusations are contrary to the goals of further development of good-neighborliness and mutually beneficial relations between Russia and the European Union. Recently, it is increasingly obvious that it is European politicians, through direct political pressure and frank hand-wringing, including when resolving domestic policy issues, that lead official Kiev to forgo part of Ukraine’s sovereignty and actually transfer its trade and economic ties under the control of Brussels. The draft agreement with the European Union on association provides for a drastic change in the entire system of trade and economic regulation of Ukraine, the transfer of sovereign powers in the field of customs and trade policy, sanitary, veterinary and phytosanitary control, technical regulation. At the same time, Ukraine will be forced to change legislation on the patterns of the European Union without the right to influence the decision-making process in areas vital for its own economy. The peoples of Russia and Ukraine, as well as other states mentioned in this resolution of the European Parliament, have a centuries-old history of close ties and relations both at the interstate level and at the level of human destinies, mixed families, common culture, joint humanitarian, scientific and educational space. The desire of the member states of the Customs Union, which unites more than 160 million consumers, to use and expand the potential accumulated during the years in a single state, as well as the desire for closer integration with neighboring countries, is natural and natural. Russia respects any choice that our neighbors will make, and is ready to continue to develop relations with them. At the same time, the deputies of the State Duma express a legitimate concern because of those possible losses for our relations with these states, which carry the policy of association with the European Union, or rather, the actual subordination of their economic policies. In the case of such an “association”, Ukraine and other states that are part of the European Union’s Eastern Partnership program will inevitably lose some of their independence. It will be much more difficult for them to build a fruitful economic partnership with Russia and other member states of the Customs Union, as well as participate in the further Eurasian integration process. Quite natural under these conditions are the efforts of Russian authorities, scientists, entrepreneurs, public figures to bring these concerns to their partners in Ukraine and other states of the post-Soviet space, are biased by the members of the European Parliament who are already considering these states as the future sphere influence of the European Union. The resolution of the European Parliament suggests the desire to undermine the relations of the peoples living in Russia and Ukraine, as well as in other states of the post-Soviet space, and to include these states in the exclusive zone of interests of the European Union. With such an approach, giving neo-imperial ambitions, one can not categorically agree. 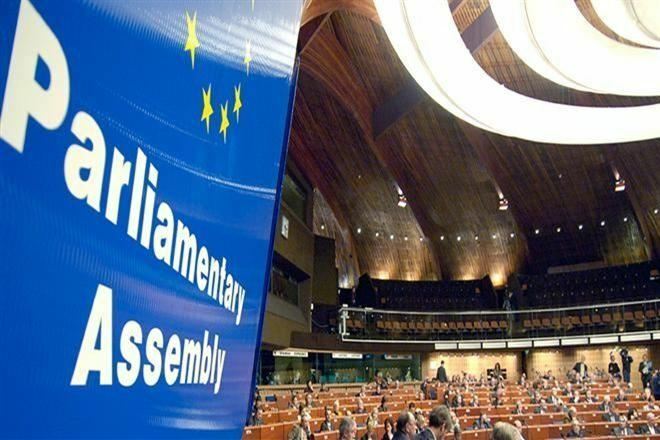 Resolutions of the European Parliament can not have legal or political power for Russia, since neither Russia, nor Ukraine, nor other states of the post-Soviet space fall within its jurisdiction. They tend to forget about this in the European Parliament, but in vain. The State Duma does not recommend to colleagues from Brussels how they build relations within the European Union and with its potential partners. Therefore, the State Duma proceeds from the fact that the Russian Federation independently determines how to build relations with its immediate neighbors, fraternal for us peoples, united by a common desire for rapprochement and free development without outside pressure, based on respect for each other’s sovereignty and national interests.